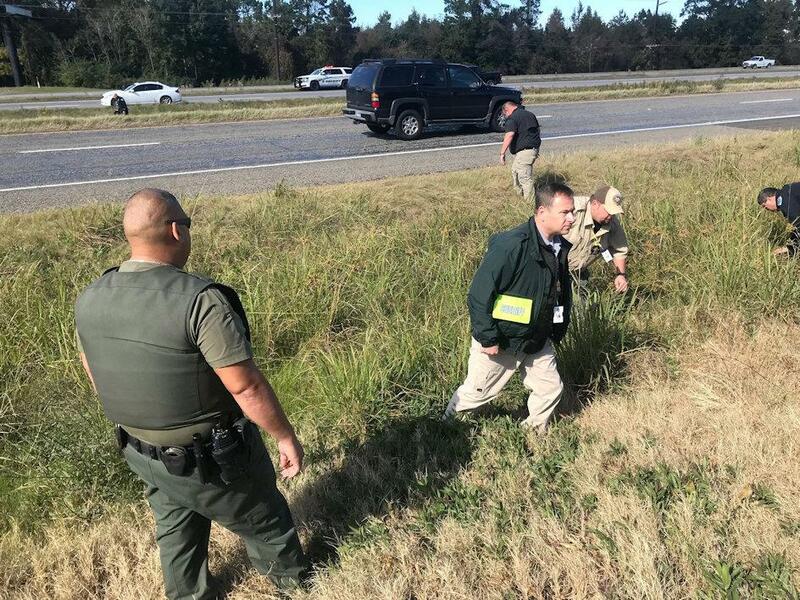 Officer Adam Willifor (center) with Livingston Police Department, chased down and caught a fugitive. 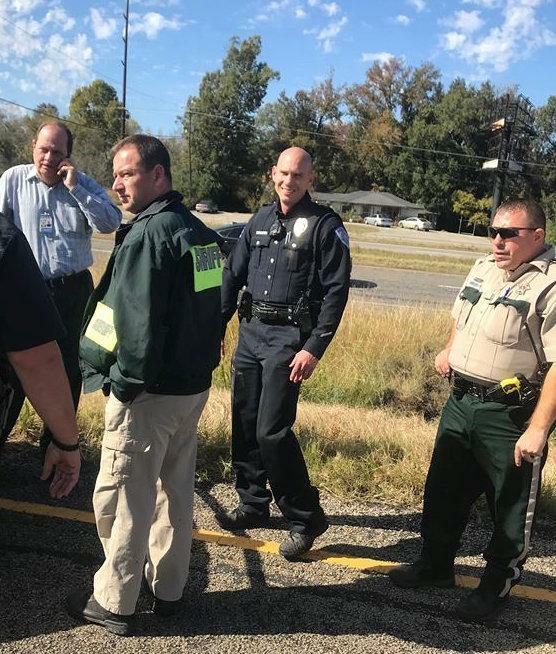 Fugitive Facing List of Felony Charges After Fleeing Police and Then Caught, LIVINGSTON, November 21, 2018 - Shortly before 12 noon on November 21, 2018, Officers with Livingston Police Department were dispatched to the AT&T Store on 190 East in regards to a customer who allegedly stole from their store. The suspect had left but the officers had a description of the suspect and his vehicle. 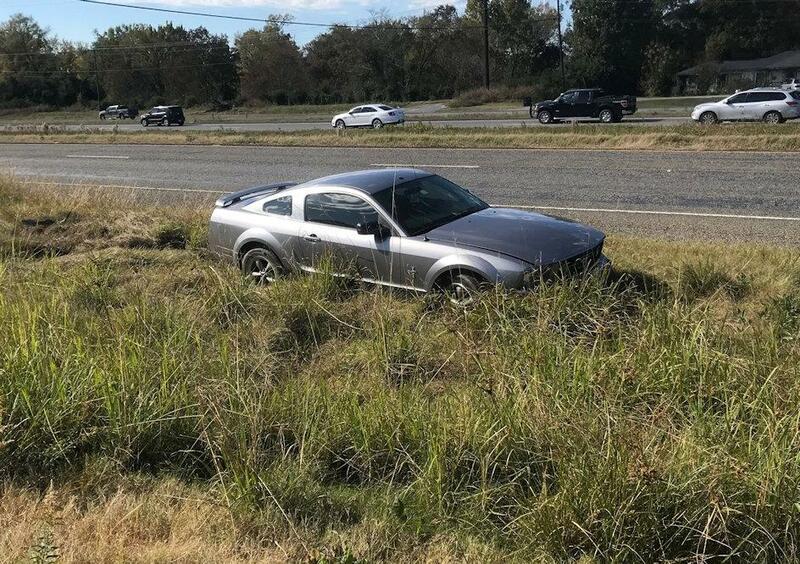 Officer Adam Williford, with Livingston Police Department spotted the vehicle (gray Ford Mustang) and stopped it in the parking lot of Livingston Burger King. During the stop, the driver, Garon Randolph, 29, of Livingston, decided to flee. Randoph put his vehicle in reverse and struck Williford's patrol unit, then Randolph put is car in forward and drove straight at Sergeant Darrell Newman (also with Livingston PD). Newman had to dive out of the way to avoid being run over. Randolph struck another vehicle (civilian vehicle) and exited the parking lot onto West Church street and struck a third vehicle (occupied by a man and his small child, both sustained undisclosed injuries). The pursuit wound through back roads of the west end of Livingston and ended up on MLK Boulevard (west-bound). Randolph came to the end of MLK at a high rate of speed and overshot the US-59 feeder and went into the muddy median that separates 59 and the feeder road. 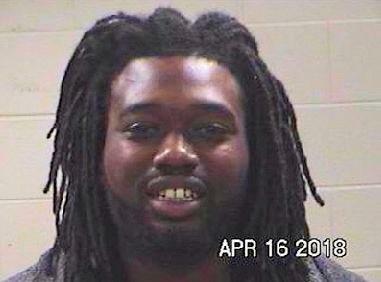 Randolph jumped out of his vehicle and fled on foot. Officer Williford was close behind and deployed his tazer gun on Randolph which proved to be ineffective. Randolph ran across the north-bound lanes of 59 into the center median. Williford caught up with him. Randolph resisted and was combative. Williford then sprayed Randolph in the face with pepper spray which rendered Randolph's resistance impotent. 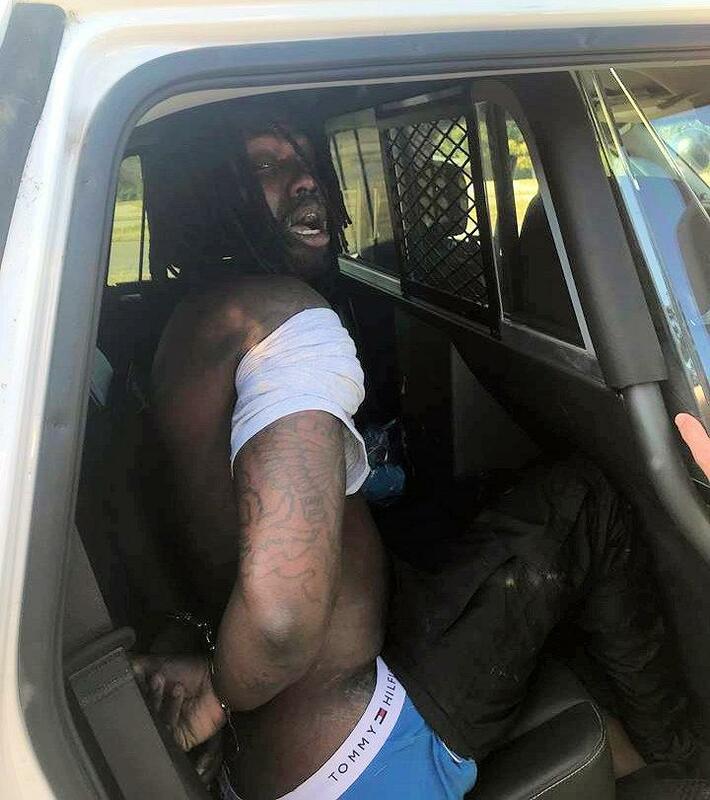 Randolph was cuffed and loaded into a Sheriff's Patrol Unit and is facing a list of felony charges, including: aggravated assault of a public servant (felony), felony evasion, child endangerment (struck car with child inside... felony), leaving the scene of an injury accident (felony), theft (misdemeanor), resisting arrest (misdemeanor). Randolph's vehicle was recovered by LakeView Wrecker and will be stored in Livingston. 29 old Garon Randolph of Livingston, drove off the end of MLK and got stuck in the mud in the muddy median. After getting a face full of pepper spray, Garon Randolph was not a happy camper. Officer Williford got assistance from multiple units from the Polk County Sheriff's Office.